NERF is an interdisciplinary research center, founded by three world-class institutes: nanoelectronics and digital technology developer imec, the life-sciences institute VIB, and KU Leuven, the University of Leuven. We receive structural funding from the Flemish government. We are part of a strong neuroscience research community in Leuven and we actively collaborate with two other major universities in Flanders, the University of Antwerp and Ghent University. Daily management is in the hands of the NERF Management Committee composed of our group leaders. An Inter-Institutional Board supports the development of NERF and its integration with the founding institutions. The scientific progress, quality and strategy are evaluated by a Scientific Advisory Board, composed of six internationally acclaimed neuroscientists. Our group leaders are responsible for the scientific, logistic, administrative, personnel and financial management of NERF, including the central NERF facilities. On a rotating basis, one of the group leaders will take on the role of the spokesperson or director, representing NERF within the three founding institutions and at the inter-institutional board meetings. Since January 2015, Sebastian Haesler serves as NERF director. The operations coordinator supports the management committee and coordinates the implementation of management decisions. Together with a dedicated administration and lab support team, the operations coordinator makes sure that NERF runs smoothly. The Inter-Institutional Board lays out the strategic vision for NERF, oversees its implementation and monitors progress. It is composed of six representatives from the three founding institute, and the NERF director, who represents the management committee. 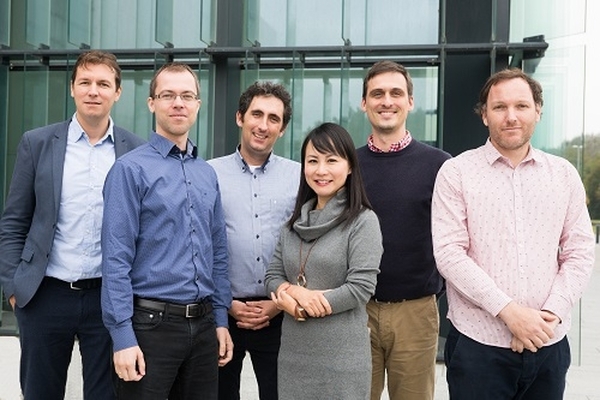 Our Scientific Advisory Board (SAB) is focused on positioning NERF as a center of excellence in the field of neuroscience on a worldwide level. It currently consists of six international experts.